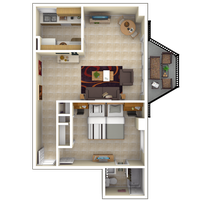 University Tower Apartments facility is conveniently located on the west side of campus on 3rd Street. 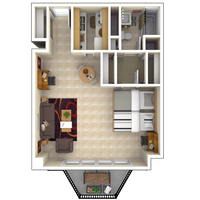 All apartments in the facility are furnished and include full kitchens. Each apartment has soft seating, tables, chairs, closet space, and beds. 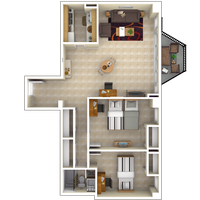 Each apartment is double-occupancy, meaning that students will have a roommate in all apartments (excluding the two-bedroom apartment, which houses three people). There are multiple Themed Communities housed within University Tower Apartments. To live within these communities, you must apply and be accepted to the community.